great new features we have in store for you. The new Vikan.com combines advanced search technology with a new way of presenting our products, just the way you want them. Finding Vikan products is faster and easier, thanks to smart search functionality and time-saving filters. After quickly finding the product you’re interested in, you’ll see an all-new product page containing all the detailed information you need – including product data, photos, videos and even other relevant content that might interest you. Product Lists let you work with groups of products in all sorts of useful ways. For example, you can download Declarations of Compliance – in your own language – for a whole list of products, even saving your list for later use. The same applies to product data. Just choose a saved list or create a new one, and download the data you need. Watch the video for a brief introduction. Whether you’re a Vikan end customer or one of our distributors, there are lots of good reasons for logging on as a registered user. If you’ve had a Vikan Site Survey conducted at your facility, you can access and download stored Zone Plans and related product data for quick and convenient reference whenever you like. Watch the video to learn how to access your Zone Plans. 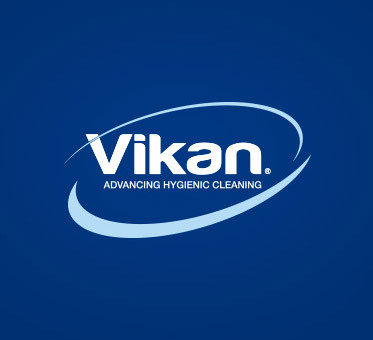 out of your Vikan cleaning tools and improve hygiene at your facility. Vikan insiders share their thoughts, experience and even personal stories on the new Vikan Blog. Be sure to follow it, so you don't miss a post! In doubt about how to handle a particular cleaning-related challenge? The feature articles on our new site provide reliable answers, in the form of tips, tricks, advice and in-depth information. You know best when, where and how you want to access our website. So we’ve designed the new site to work on any device you’re likely to use. Smartphone, tablet or computer – the choice is yours.